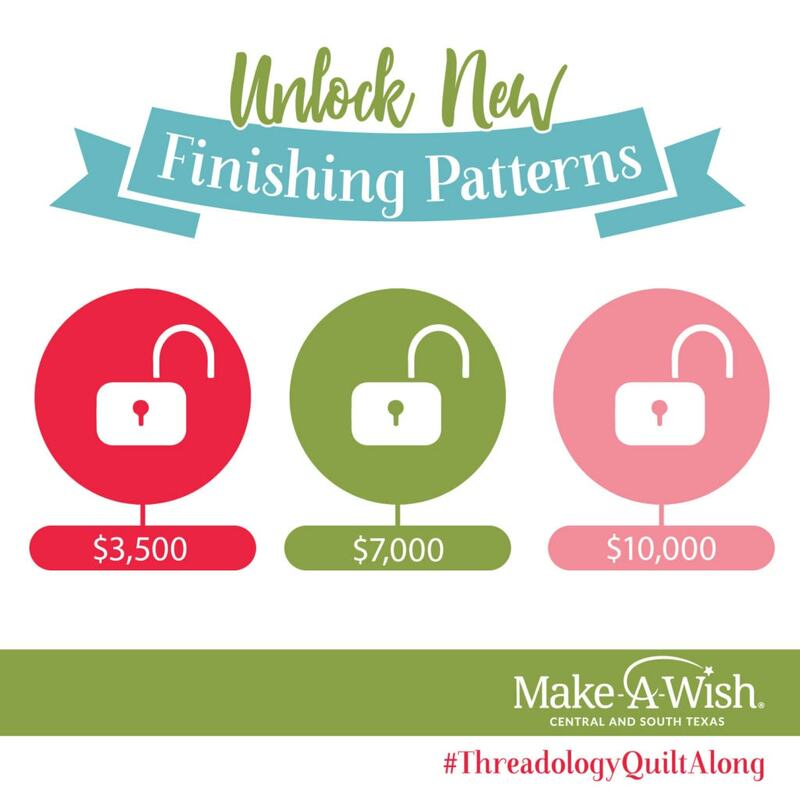 Welcome to the Fat Quarter Shop 2019 charity quilt along, the Threadology Quilt Along! We are so excited to present the fifth block in this year’s quilt along, the Fair & Square Block (free pattern and video tutorial)! We are sold out of the Threadology Quilt Kit and Backing set so if you are just joining us, you can find the full fabric requirements to make a Threadology Quilt just like ours (we used the Little Snippets collection by Bonnie & Camille for Moda Fabrics). We will also be posting all the patterns and videos posted so far on our Threadology Quilt Along page! Also, be sure to read to the bottom for information on extra settings we will be doing for the Threadology blocks this year as well as our Block 6 Giveaway! Here is the video tutorial for the Fair & Square Block! We have a great lineup of quilters quilting along with us! Our quilters used a mix of the quilt kit (we are sold out however you can find the full fabric requirements to make a Threadology Quilt just like ours using Little Snippets collection by Bonnie & Camille for Moda Fabrics) and their own fabrics to make their blocks. Click on each of the photos to see them up close and see what collections they used as well as tips and tricks they have to make the sixth block! Anna of My Wandering Path (@mywanderingpath) made her Fair & Square Block using 30’s Playtime by Chloe’s Closet for Moda Fabrics. Quilty Staffer Deborah made her Fair & Square Block using On Meadowlark Pond by Kansas Troubles Quilters for Moda Fabrics. Quilty Staffer Denise made her Fair & Square Block Cheeky by Urban Chiks for Moda Fabrics. Quilty Staffer Kate made her Fair & Square Block using Rosa by Crystal Manning for Moda Fabrics. Melissa of Happy Quilting(@happyquiltignmc) an assortment of Bonnie & Camille fabrics. Again, with the HST’s, I like to cut them slightly oversized and then use a Bloc-Loc ruler to trim them perfectly. Quilty Staffer Terri made her Fair & Square Block using Sweet Harmony by American Jane for Moda Fabrics. We will see you back here on May 1 to start making the seventh block (the Economy Block) of the Threadology Quilt! I’ve got my fair & square block done & its beautiful! Thanks to everyone @fatquartershop for this great project!